On Wednesday morning, February 4th, my husband called me from Oahu. He was at this pet shop and "fell in love" with a puppy Italian Greyhound. You see, he was supposed to be there "just to look". Tell you how much "just looking" does. And how much it can cost us. Don't ask how much - it's a lot! The husband, started researching puppies. And now he was a collaborator of this scheme to wear me down, and finally said yes to a puppy. I can only resist for so long. I mean, I already was getting the reputation of being "the mother who deprived her daughter a dog". I can only take the guilt for so long. Finally, I had to say yes to a puppy. The problem is, not just an ordinary puppy. My husband has already set his eyes on an Italian Greyhound because it's the best breed that would get along with our two cats. You see, we love out cats. (yes, I said we, as much as my husband would contest that because he says I hate our cats. Yes, I did not want to adopt these cats either as much as I did not want to adopt a dog, but that's another post/story). Back to the Italian Greyhound story, so my husband had researched dogs and thought that the only dog he would allow in our house is an Italian Greyhound. Oh well, I don't think I can contain all my venting and whining, as well as my joys and pains, on adopting and raising this Italian Greyhound on just one post, so this is going to be an integral part of this blog from now on. Oh yeah, my husband told me that he got this dog so I can have something to blog about. Yeah right! i love the last picture of sonny...it is so precious. i am a dog lover. one of nikki's professors had an italian grey hound that came to to work with him and nikki fell in love with him (i forget his name). dennis and i got to meet this dog on a surprise visit and he was definitely a sweet dog. i know how noelle feels and am happy for her. Oh Liza that dog is so cute!!!!! I grew up hating dogs and being afraid of them. I would have NEVER wanted a dog....ever! how can you not love that precious little face? I'm not really a dog lover but that is one very cute puppy. My dad used to have an Italian Greyhound (as well as regular greyhounds) and it was a lovely dog. I personally prefer cats, my boyfriend however hates them so I may get out-voted at some point. But I suspect dogs have ways of making you love them even if you don't want to. Unlike cats who can take or leave anyone's love! o.m.g. that is TOO cute! I wish my boyfriend would come home with a dog! Nice to meet you through Blogher! Just beautiful! We are adjusting to a puppy in our house as well, enjoy! He is adorable. As soon as I relocate to my country property I am making a home for a couple of homeless dogs. You made me smile this early morning. I know dogs can mean more work at home, but I am such a dog lover. My poodle is precious, and I adopted her before I had my daughter. She is so protective of my daughter, maybe she thinks they are siblings. 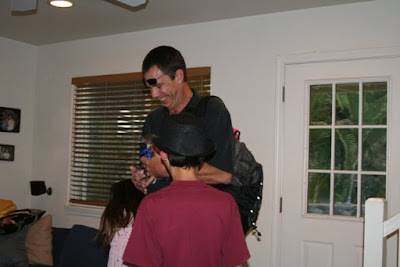 I can imagine your daughter's joy for having her wish granted. Good luck! Also, giving him regular exercise (walks and running in a fenced yard) will let him be a coach potate in the remaining time.. I hope you give her a wonderful home. One of my three dogs is an italian greyhound/jack russell terrier mix. Yes, she has quite a large amount of energy so we must exercise her (name is Stella) often but she is such a blessing and a wonderful addition to our family. I wish you the same experience. 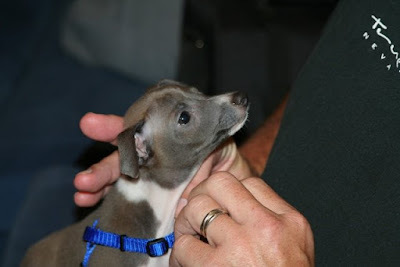 Hi – Will you please post a link to your Blog at The Italian Greyhound Community? Our members will love it. It's easy to do, just cut and paste the link and it automatically links back to your website… it’s a win win. You can also add Photos, Videos and Pup Classifieds if you like. It’s free and easy.